With 85 years of experience, Astons Coaches deliver you to your chosen destination in style and comfort. Astons Coaches is a well-established Coach Hire Operator based on the outskirts of Worcester. From operating just one vehicle for coal distribution in 1929, we have now expanded to a fleet of 55 coaches, midi-coaches and mini-buses. We believe our reputation and continued repeat business is a result of the quality of our vehicles, the personal service we provide (with great attention to detail) and a strong team of experienced and capable drivers. Within our existing client base are groups that use us for regular outings throughout the year. 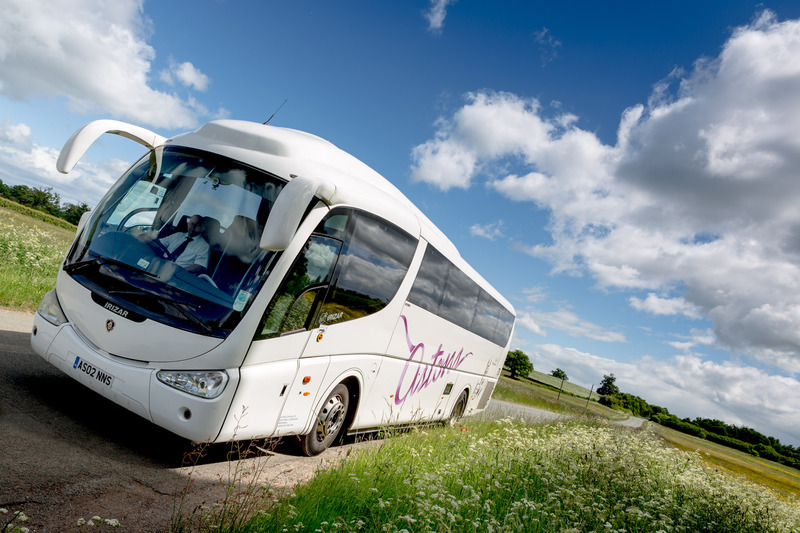 These groups have found that building a relationship with our drivers and with our Sales Department has given them peace of mind so that they can relax in the knowledge that all aspects of their coach hire is being looked after. To give you and your group the security you require when hiring and travelling aboard our vehicles, we hope that the following information will give you Peace of Mind. Our in house mechanics control the repair and upkeep of our fleet. The Garage operates 24 hours to ensure all vehicles are maintained to the highest standards possible. A Duty Manager is on call out of office hours to deal with any unforeseen circumstances. In the unlikely event of mechanical breakdown, we will arrange roadside assistance and recovery if necessary. In instances of unreasonable delay a replacement vehicle will be provided. Astons Coaches have run a risk assessment on all aspects of coach hire. There is an Emergency Procedure in place for the re-assurance of anyone travelling onboard an Astons vehicle. To read more about the services we offer please see our services page.